This beautiful waterfront home in desirable Teal Bay is on a high and dry lot, with lovely panoramic views. 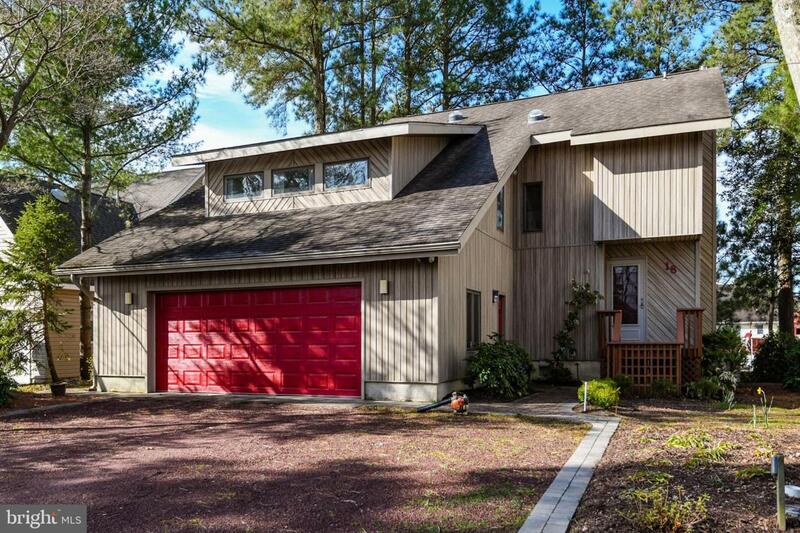 There is plenty of room and storage in this open home with 4 bedrooms, (two of which have a private waterfront deck), 2.5 bathrooms, a remodeled kitchen, a first floor family room, a relaxing sun room, an expansive deck and a side patio. The 4th bedroom could be used as a huge second family room/game room. 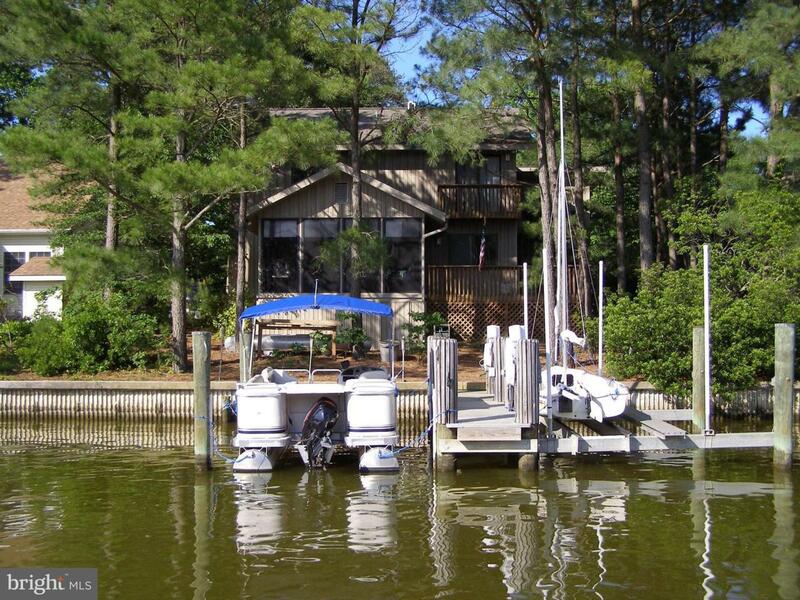 You will be very pleased with the over sized garage, the 12,000 pound boatlift, and the additional boat slip. Updates from 6 years ago include: kitchen remodel with breakfast bar, meganite countertops and SS appliances; new washer, dryer and hot water heater; updated bathrooms; an electric fireplace; hardscaping around the exterior including a side patio. Updates in 2016 include new dual zone HVAC systems, one gas and one electric. 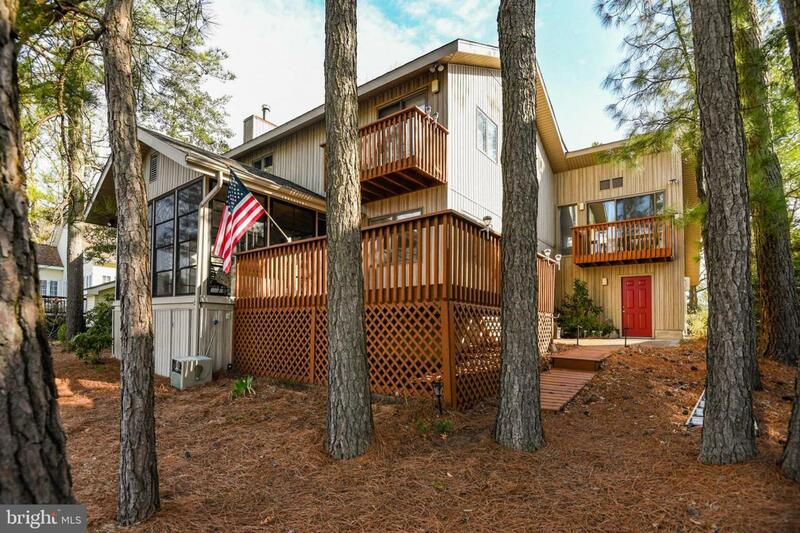 This is a gorgeous, maintenance free lot, with sunset views over the water from the sun room and from all 3 decks. 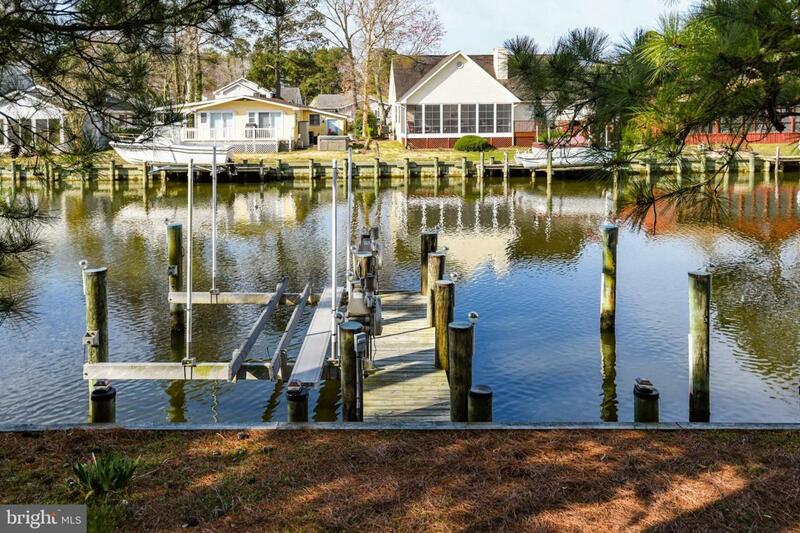 Hop on your boat, and you are a minute away from the open waters of the St Martin river and the Isle of Wight Bay. Ocean Pines is ranked as the safest community in Maryland and as one of the top places to retire. Amenities include: 5 pools, including one indoor pool and one located at the oceanfront beach club; an 18 hole golf course; a racquet sports complex with pickleball, tennis and platform tennis; many parks, playgrounds and walking trails; a Yacht Club; two marinas; a Community Center with an active Rec & Parks program. There truly is no other community like it on the Eastern Shore. Only 5 miles to the beach and boardwalk!